Sandy Eisenberg, President and CEO of Total Recall Captioning, Inc., has been in business since 1992. She was the first realtime captioner in the California State University system and obtained the first staff captioning position there. In 2003, Sandy was looking to expand her business and start offering real-time CART captioning. Being an owner of a growing agency, Sandy has captioners working for her all over the country providing both onsite and remote CART captioning services. 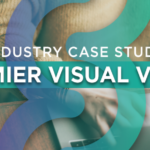 She needed a captioning product that was seamless, flexible and easy to use. 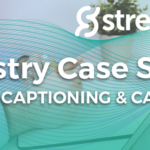 After having the opportunity to learn about StreamText and all of its great features, Sandy decided to make it her product of choice for all of her CART captioning needs. With features like integrated chat, letting participants communicate via messaging during the event, allowing for a seamless change of writers during live events stretching over a long period of time, and configurable viewing preferences where users can select the font size and color to meet their individual viewing needs, Sandy mentioned the decision was simple. With many of Sandy’s captioners and clients located around the country, it is not uncommon for Nick to train Sandy’s new captioners on the ins and outs of StreamText to get them up to speed quickly. Nick will also regularly speak to Total Recall Captioning clients and assist them with any technical issues they may have. Sandy has successfully used StreamText in a variety of high-profile assignments. At the 2016 Democratic National Convention, held at the Wells Fargo Center in Philadelphia, Pennsylvania, more than 200,000 people logged in to view the captioning. Sandy was also on hand to caption Hillary Clinton’s visit to Orlando, Florida where Clinton appeared at the Frontline Outreach Youth and Family Center. To learn more about StreamText and how it can provide a real-time CART and captioning solution for you, please visit our features page.